This method is not about horses, but about people. A horse reacts in a more transparent and faster way than humans; in the case of incomprehension, the horse waits for another opportunity to understand the respected partner. Horses are demanding in terms of needed sense of respect and safety. They are the masters of cohesion; it is wise to learn from the best. Thanks to the instant communication with the horse and the consecutive analysis, you will understand your strengths and weaknesses in areas such as leadership, communication and change management. The horse reflects like a mirror; it challenges us to change our approach if it fails to comprehend. We don’t get this experience through words but through experiencing it. And what we have experienced, we also remember. Through an interaction with the horse and consecutive analysis, which is always conducted through a positive feedback, the possibility opens to play leadership and reveal one’s strengths and weaknesses, not only in management, but also in communication and team work. Possibility to test a change in approach and experience the resulting reaction in a safe environment – and to apply this change in professional and personal life. Strengthening of self-confidence, clearer communication based on the principles of trust and respect of the entire team. The focus is on establishing the strengths and weaknesses and on boosting the self-confidence in a leadership position. It is designed to improve teamwork, respect and trust of the entire team. Horse Made is the only authorized partner of Horse Dream in the Czech Republic; active since 2005, has been providing training programmes in the CR since 2009. The Horse Dream methodology is based on the cooperation of European psychologists, coaches and leaders and it has been successfully practiced and developed in Europe and worldwide for over 20 years. 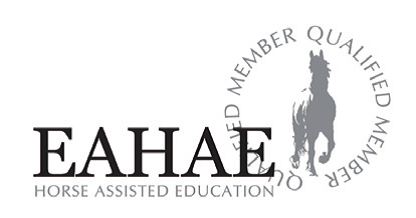 Horse Made is the only EAHAE (European Association for Horse Assisted Education) representative in the Czech Republic, since 2005; Renáta Foldynová, the face of Horse Made, is one of the ten ambassadors representing the EAHAE values, professionalism and quality. Thanks to the know-how from abroad and the possibility to exchange best practice within the EAHAE, Horse Made offers the most complex horse assisted education programmes in the Czech Republic, which are based on long-proven methodology of developing the personality, managerial and leadership skills. The instructor: Renáta Foldynová, MSc. Leadership is about how we pass on and how we receive – our body language, attitude to others and the tone of voice matter. The horse perceives these qualities; it understands this language and naturally challenges us to change, should it fail to comprehend our leadership. You can’t get this experience through words – but only through experiencing it. And what you experience, you also tend to remember. The point of the workshop is not learning how to ride a horse; the training takes place on a different level. Suitable and safe horses with an undisturbed/unbroken relationship with humans are selected for the interaction cooperation. The method is, thus, also suitable for mentally or physically handicapped children or adults. Conversely, the workshop is very suitable not only for the manager and his/her team, but also for a team of non-managers. Here, more emphasis is put on communication, cohesion, respect and personality development. The finding that leadership isn’t all that easy is just as beneficial to those who have passed the workshop, as well as for the leaders themselves. Ideally, the workshop should last two days. It is an experimental learning and the benefit is, thus, directly proportional to the time invested. The workshop can also be prepared for a single day or to combine it in duration of two or more days with internal activities of the client. The ideal number is 4-8 persons, yet this number can be made higher upon and individual agreement. Practical blocks are followed by theoretical ones, in turn with interaction games and consecutive analysis. The homely and peaceful environment of the farm is essential; the participants are always granted the comfort of time, especially during the interaction games.